Save 20% when you buy any book direct from us. Use promotion code tpdirect at checkout for an automatic 20% discount. A Kindle version is available from amazon UK and amazon.com. ​Combining elements from an art book, field journal and walkers' manifesto, this is a text for performative artists, art students, and all who walk as cultural activism. performance artist, social choreographer and educator. walking as mindful cultural activism. 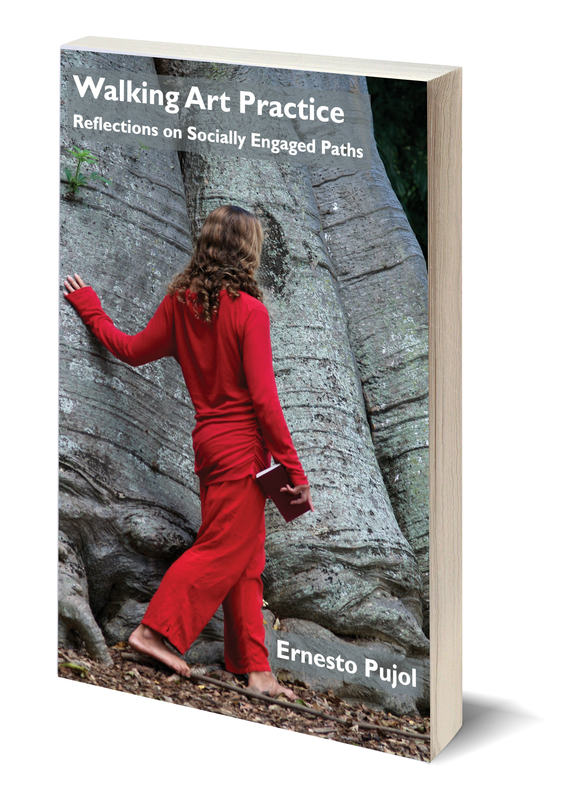 Rethink what it means to walk and explore different ways in which to walk as: a cultural practice ~ a meditative practice ~ a radical practice ~ art ~ healing ~ social engagement. Reconsider how to attend to the inner and outer landscape whilst walking. Treat walking as a performance resource. Walk as an everyday pilgrimage. "A culture is how a specific people, in a specific place, in a specific moment, choose to portray themselves to each other and to the world. Artists are choosing to walk in order to regain control of our being from government officials, political parties, religions, corporations, and media. Artists are walking for you and me; artists are walking for us." This is an inspirational text for artists, art students and anyone who loves to step outside. Read highlights and extracts from the book. "​Artists are trying to move away from the influence of competitive corporate culture that has increasingly defined art as an abrasive urban career. Artists are trying to replace this with the humbler notion of art as a practice, as a mindful way of life, consisting of consciously creative gestures, visible and invisible, large and small. Art practice is a private and public, selfless and generous, creative life process resulting in a conscious cultural product."